Jim Murray recently came out with his 2017 Whiskey Bible wherein he ranks the world’s best whiskies from around the world. Often, what he picks out is controversial; often what he picks out is not readily available. I also have friends ask me all the time for recommendations for whiskies to try in bars (they often send pictures of menus) or to buy in stores (they send pictures of shelves, either for themselves or others.) I imagine those types of texts will roll in even more as the holiday season approaches. So, I thought about creating a list, but not using a sort of ranking system based on ratings necessarily but something more simple and real, at least to me. I decided to list out whiskies I bought more than one bottle of this year. They way I look at it is that if I liked enough at the price point of that particular whiskey to buy more than one bottle, then those are what I really think are the best. The list necessarily excludes my daily drinkers- Buffalo Trace, Eagle Rare, and Weller Special Reserve, because the list is designed to be for special whiskies for special occasions-that special bottle for Thanksgiving Weekend, a Christmas Gift, or to try in a really nice bar. But it also by definition will exclude such highly allocated stuff that it’s impossible to find. I have gotten to try a lot of those bottles this year and many were great. But they aren’t on this list on purpose. At the top of the list is Stagg, Jr. I bought multiple bottles of this one. It can be difficult but not impossible to find. It is one of my absolute favorites. So here is the list, in no particular order. 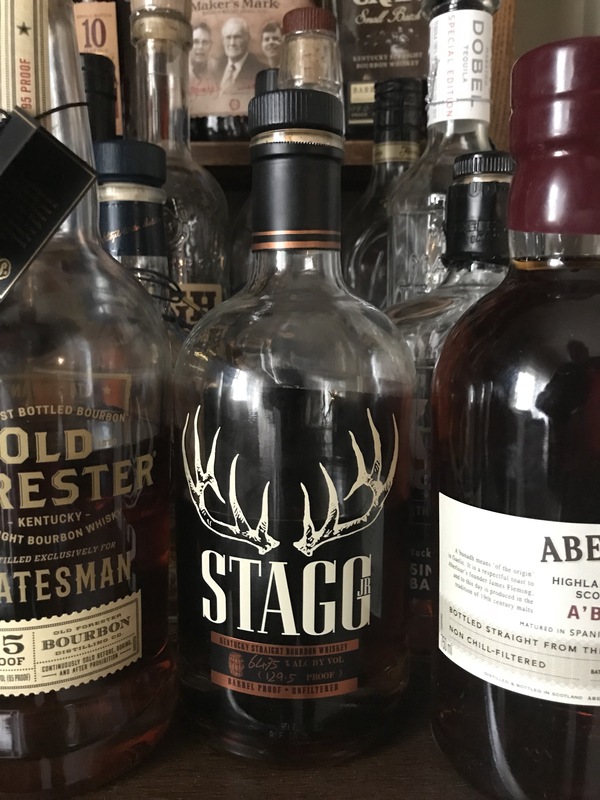 Stagg Jr., Col. E.H. Taylor Single Barrel, Small Batch, and Barrel Proof, Weller Antique 107, Weller 12, Woodford Reserve Double Oaked, Old Forester 1920 Prohibition Style Bourbon, Elijah Craig Small Batch 12 Year Old Barrel Proof, Barrell Bourbon, Barrell Whiskey, Smooth Ambler Old Scout Single Barrel, Orphan Barrel Forged Oak Fifteen Year Old Bourbon, High West Bourye, Blade & Bow Bourbon, 1792 Full Proof Bourbon. UPDATE: I bought two bottles of Bower Hill. The Barrel Strength is amazing. Glenmorangie Bacalta, Quinta Ruban, and Signet. Oban 14 and Little Bay. So, that’s the list. What did you buy more than one of this year?